We live in a world of constant duality, giving us choices like up or down, black or white, and Democrats or Republicans. Though the biggest split of our times, at least when it comes to entertainment, is DC or Marvel, and it's a very seldom occurrence for these ideas cross over with one another. One such actor who had the opportunity to cross that aisle was Lady Sif herself, Jaimie Alexander, and although she was considered for the part of Wonder Woman, she knew the chances of her actually getting the role were slim to none. I was one of a few people that were an obvious choice for Wonder Woman, but it was never going to happen. I’m contracted with Marvel and it would (be) strange. Sif, in her way, is Marvel’s Wonder Woman. They’re both ethereal and have armor and a sword, and have special abilities; the physicality of the role is very similar. The thing I really enjoy about Marvel is that they start with a character first and all the explosions and costumes, the glitz and glam, are secondary to who the actual character is deep down. That’s something I haven’t really been able to find with DC Comics. I know that’s a bold statement, but it’s been my experience. Controversial indeed, Ms. Alexander. No matter which side of the coin she may favor, it's undeniable that Jaimie Alexander brings something very special to the role of Lady Sif. But as great as that is, we want to see something different brought to role of Wonder Woman. That’s the beauty of the comic book world; there are numerous characters, which means there are just as many, if not more, opportunities to try new things. 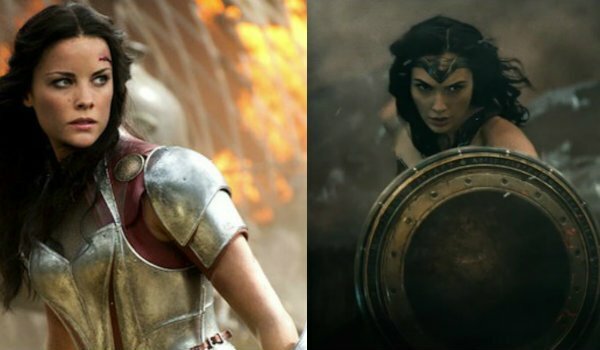 Jaimie Alexander will return to the role of Lady Sif in Thor: Ragnarok, which hits theater July 28, 2017; Gal Gadot’s Wonder Woman will premiere in Batman V Superman: Dawn of Justice, which debuts March 25.